If you have been referred for a diagnostic audiologic evaluation, it means that your hearing needs to be further examined. A diagnostic audiologic evaluation may be indicated for individuals who did not pass an initial hearing screening. The evaluation is done to determine if a hearing loss is present and, if so, to detail the type and severity of the hearing loss. It also may provide insight into the cause of the hearing loss as well as provide guidance for the audiologist in making appropriate treatment recommendations- or referrals to other professionals. What tests will be done? 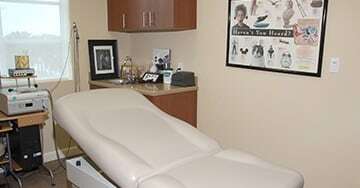 The specific tests done during the evaluation will depend on the patient's age, symptoms and medical history. These various tests will determine the degree of hearing loss, the type of hearing loss and the conditions of the ear canal and middle ear. The audiologist will also establish if the hearing loss is conductive (middle or outer ear problem) or sensorineural (inner ear problem or an issue with the auditory nerve and central auditory pathways). At a minimum, a diagnostic audiologic evaluation includes pure-tone testing, bone conduction testing and speech testing. Pure-tone testing determines the quietest tones that a person can hear at different frequencies, both low and high. 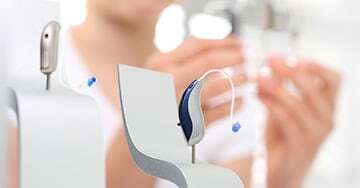 Bone conduction testing is similar to pure-tone, however, a different type of headset is used to provide the audiologist with different information. A bone conduction test will help the audiologist determine whether the loss is conductive in nature or sensorineural. A speech reception threshold (SRT) test is used to confirm the results of a pure-tone test. This test determines the lowest level of sound the patient can clearly identify words or speech. The audiologist may also perform otoscopy (physical examination of the outer ear and, ear canal and eardrum) and tympanometry (test of the middle ear) to determine the health of the ear canal and the middle ear. Specialized tests exist for infants and young children, as well as children and adults with developmental and cognitive impairments. These more-specialized tests allow the audiologist to test the auditory system when the patient is not able to actively participate in the tests or evaluation. For children, it is important to have a diagnostic hearing evaluation whenever a hearing loss is suspected. It is the first step in identifying hearing loss and developing a treatment plan to improve academic and social success. Along with the evaluation, you should generally expect to have time to review the results with the audiologist. They can interpret the tests for you, answer your questions, provide you with information and referrals as needed, as well as begin planning for treatment, if indicated. Audiologists are specialists in hearing and hearing rehabilitation. Never hesitate to ask your audiologist for clarification or further information on anything you do not understand. What can I expect during a diagnostic hearing evaluation? The evaluation will last about 30-40 minutes in length. 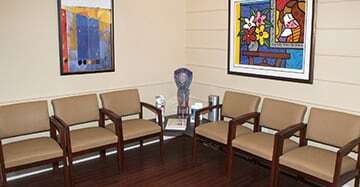 You should also allow time for discussion with the audiologist to review test results and ask questions. If the results indicate you need hearing aids, allow for sufficient time to discuss your options. Before your appointment, a complete medical history will be completed and the audiologist will want to hear about any complaints you have about your hearing. They will pay special attention to any concerns you have about exposure to noise, tinnitus and balance problems. Make sure that you take a full list of any medications and supplements you are taking with you to your appointment. The diagnostic audiologic evaluation is a good chance to establish a relationship with your audiologist. Above all, don't be afraid to ask questions. You will want to be clear on any information you receive so that you can be an active participant in finding hearing solutions that work best for you and your lifestyle. The path to better hearing starts here. Learn how we can help.